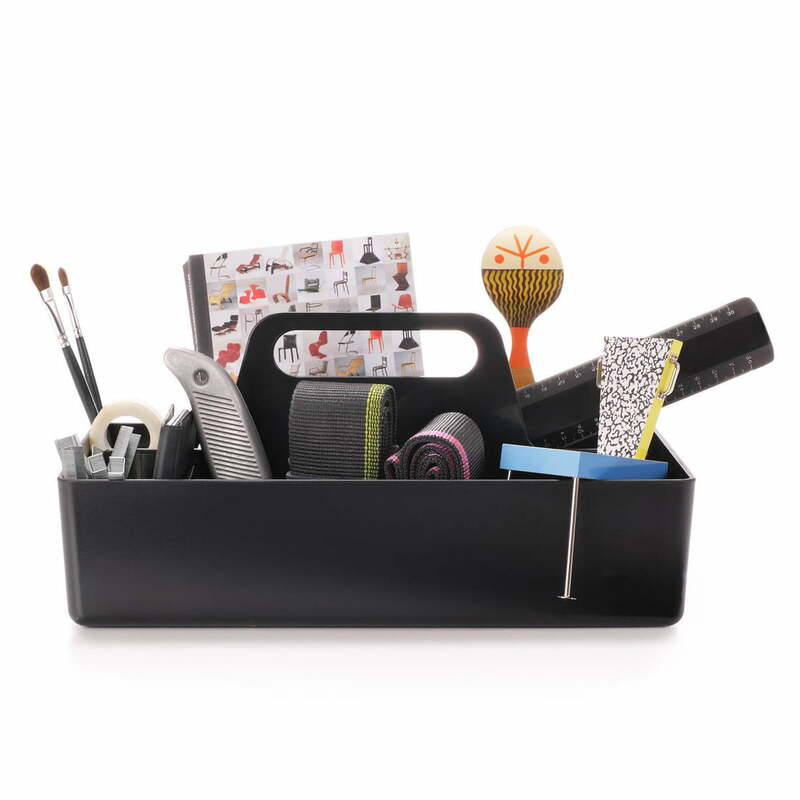 The Storage Toolbox from Vitra is the perfect tool to organise your office: working material, accessories and private items can be stored inside. Once you are done using it, it can be easily stowed away in the cupboard or on a shelf thanks to its handle. The Storage Toolbox's design was coined by the designer Arik Levy. The idea behind the Toolbox was to have all of your working material at hand – figuratively and literally thanks to its handle. This makes the Toolbox your wholly personal briefcase in the office and an ideal companion for flexible work. The Storage Toolbox from Vitra possesses several compartments in different sizes and consists of plastic injection moulding. se trata de un producto de calidad a un coste bastante bajo. Endlich ein Produkt, welches jedes Chaos schnell verschwinden lässt! 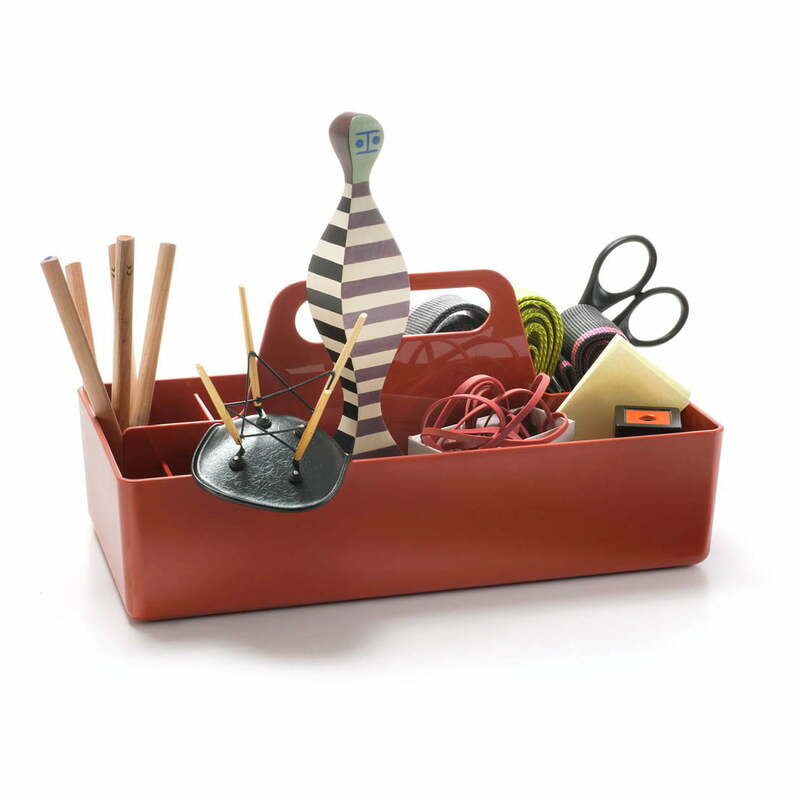 Single imageSingle image of the Storage Toolbox in basic dark by Arik Levyl for Vitra. The Storage Toolbox is a practical organization tool for your office or home: store working material, accessories and private items inside of it and stowe in the cupboard, shelf or trolley with only one handle. Single image of the filled Vitra Storage Toolbox in brick, designed by Arik Levy. The Storage Toolbox from Vitra possesses several compartments in different sizes and consists of plastic injection moulding. Single image of the filled Vitra Storage Toolbox in mauve grey, designed by Arik Levy. The Storage Toolbox from Vitra possesses several compartments in different sizes and consists of plastic injection moulding. 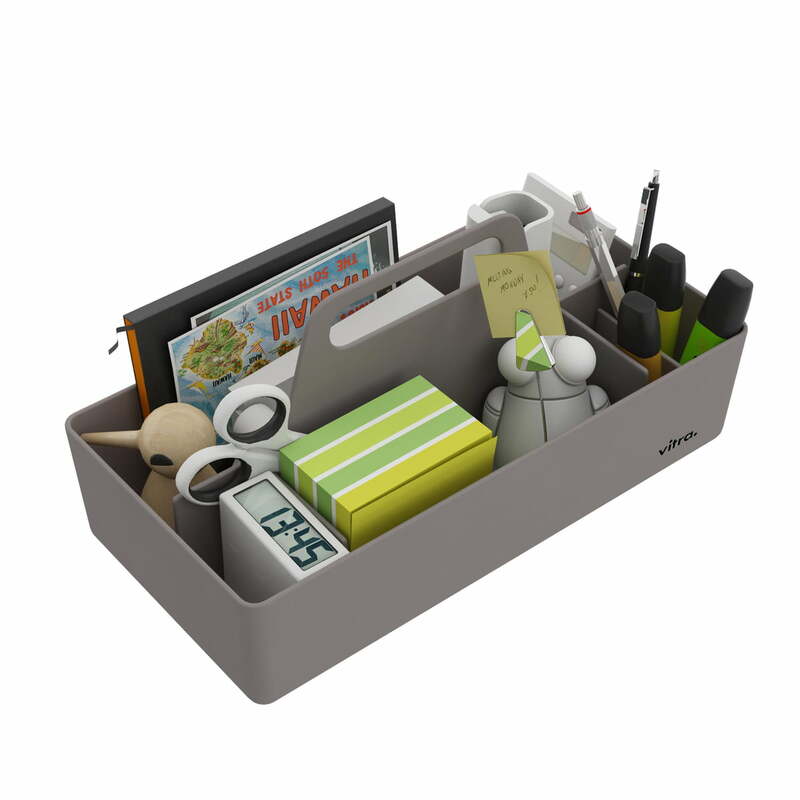 The design of the Storage Toolbox was coined by the designer Arik Levy. The idea behind the Toolbox is to store all working materials that are near you with only one grip. 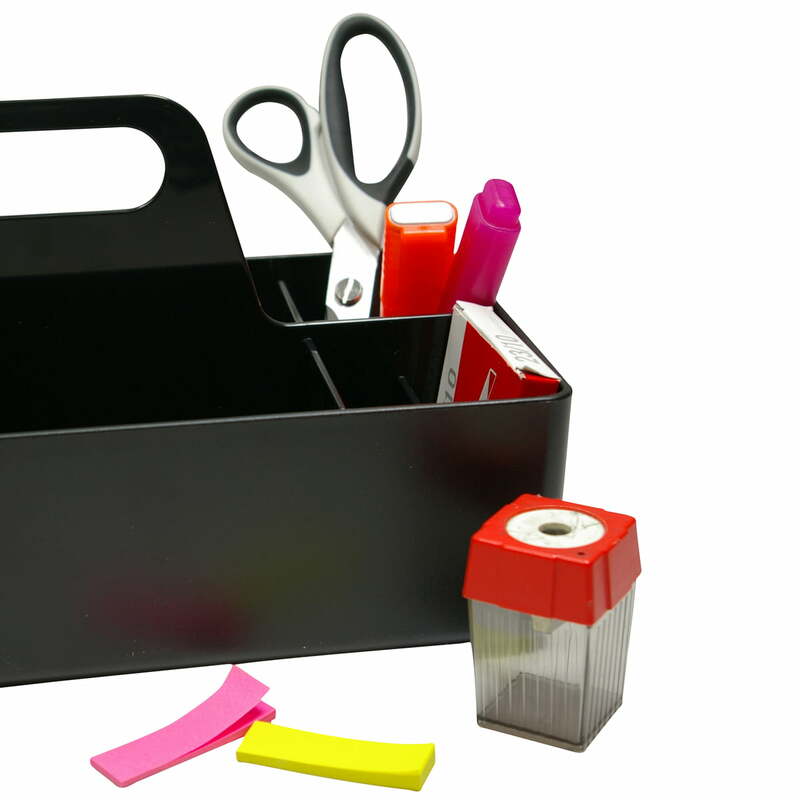 Close-up of the Vitra Storge Toolbox in basic dark with scissors, sharpener and highlighter. 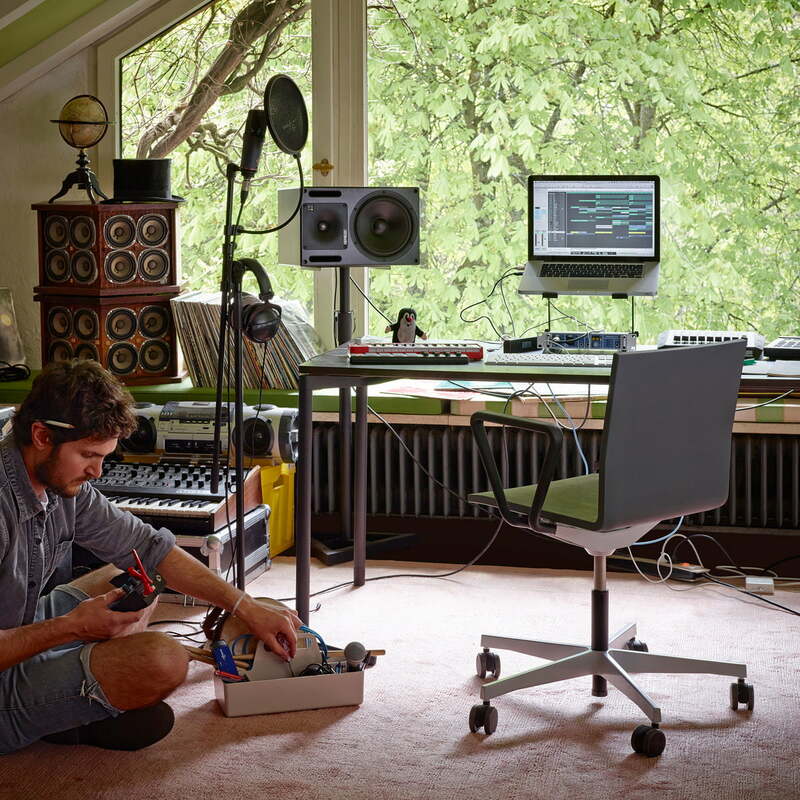 The design of the Storage Toolbox was coined by the designer Arik Levy. The idea behind the Toolbox is to store all working materials that are near you with only one grip. 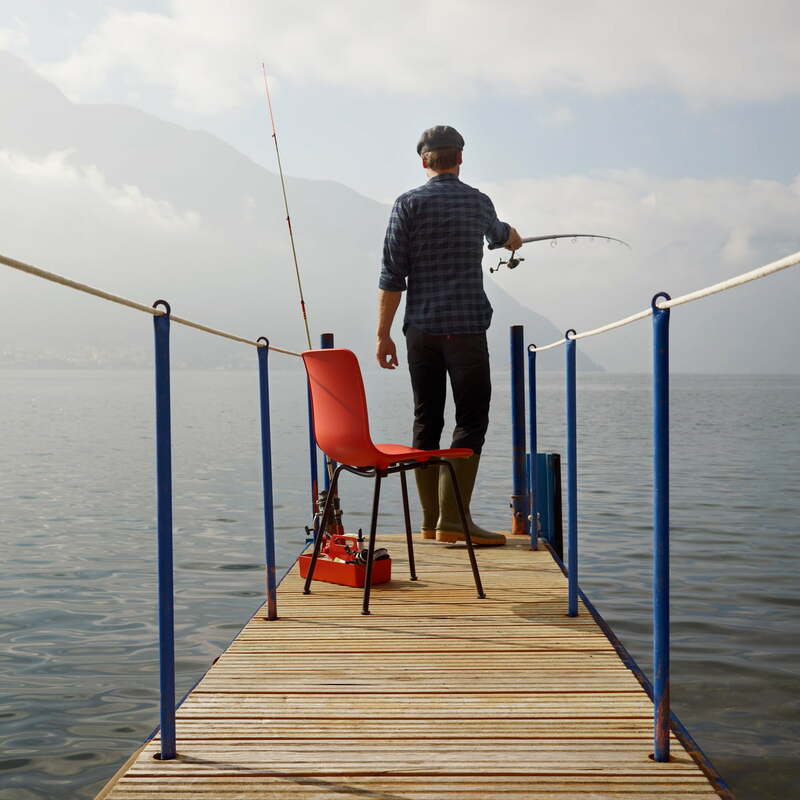 Lifestyle product image of the Vitra - .04 Office Swivel Chair At first glance, the chair is not expected to offer exceptional comfort, but if you sit down, the seat shell with its numerous functions reveals its ergonomic features as extremely comfortable. 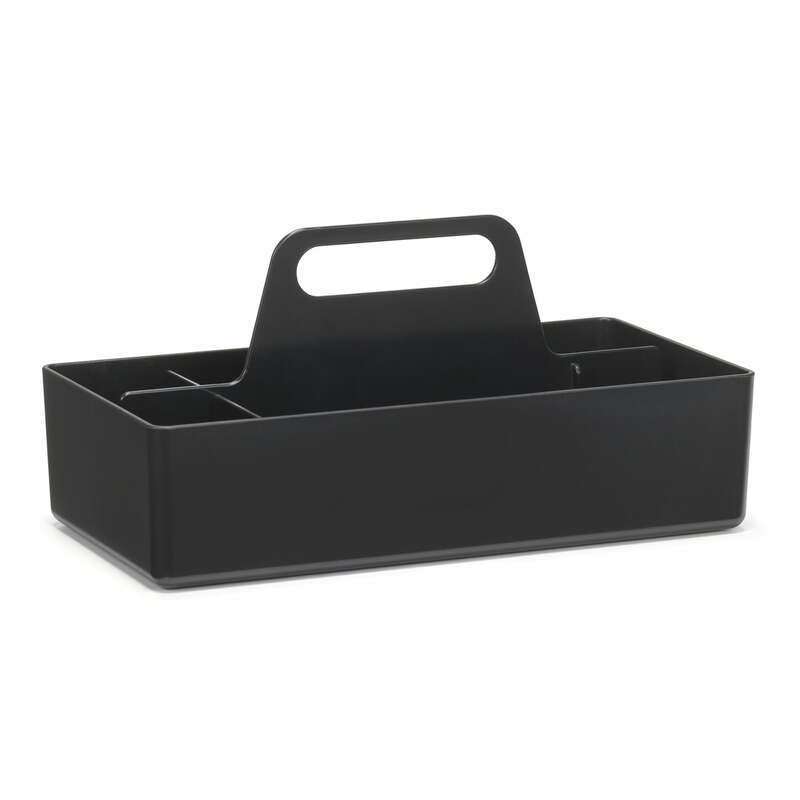 The Storage Toolbox from Vitra in basic dark in the ambience view. 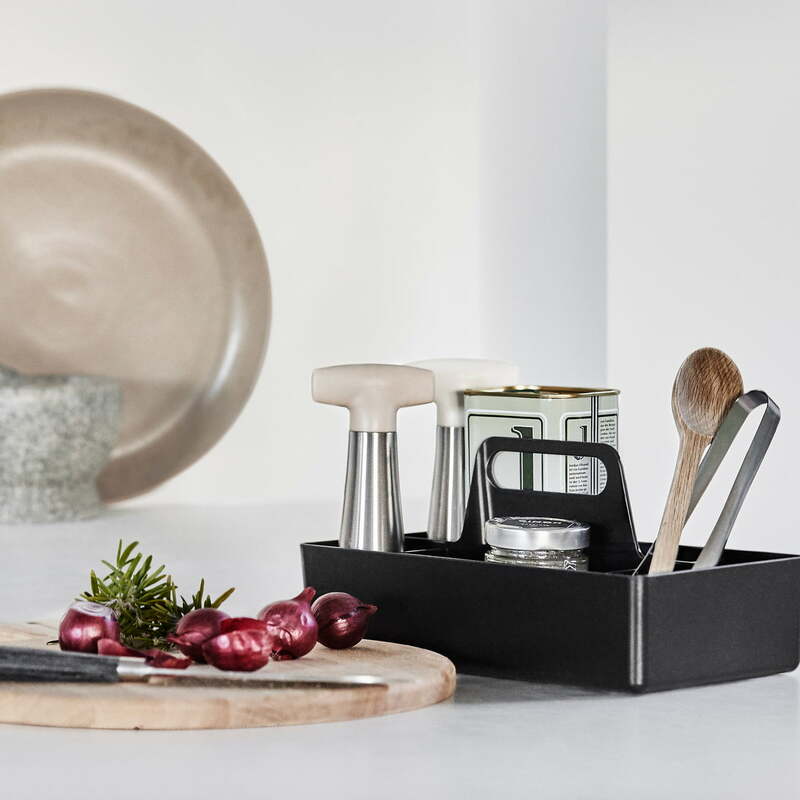 In the kitchen, the functional storage box becomes a practical holder for cooking spoons, spices and the like. The Storage Toolbox in zartrosé with the Wooden Dolls No. 1 from Vitra in the ambience view. In the bathroom, the Toolbox is ideal for creams, brushes and the like.